Skyjack SJ9253 RT rough terrain scissor lift. Skyjack has released a white paper highlighting the core changes to its DC scissor products in conjunction with the new ANSI standards. 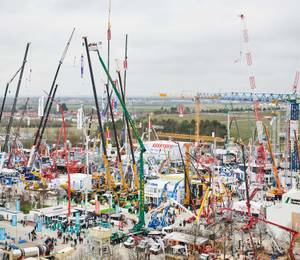 Skyjack team at bauma 2019. The SJ9253 RT is Skyjack’s largest scissor lift to date with a working height of 17.98 m, and is the first model in the company’s new full-size rough terrain range. This new range replaces Skyjack’s existing 88-in and 92-in models and consists of the SJ9233, SJ9243, SJ9253 and SJ9263 RT. 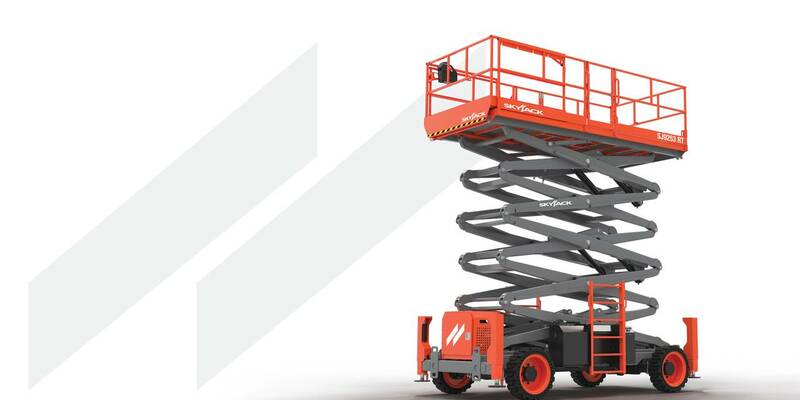 Skyjack also has plans for an even larger rough terrain scissor lift that would make work at six stories possible, increasing the number of applications these machines could be used for. 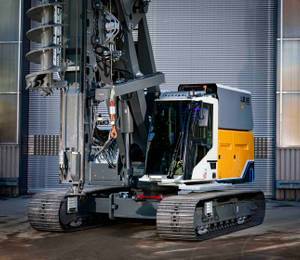 The SJ9263 RT with a working height of 21.03 m is in its final design phase and is targeted for launch in the fourth quarter of 2019. These models boast increased working heights, increased capacities, faster function speeds, all along with market’s largest work platform across the range. 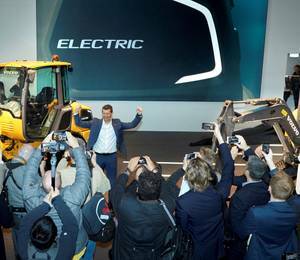 The new models also feature an enhanced control system – maintaining Skyjack’s colour coded and numbered wiring system, while further improving the ease of troubleshooting and integration with our Elevate telematics solution. These models boast increased working heights, increased capacities, faster function speeds, all along with market’s largest work platform across the range. 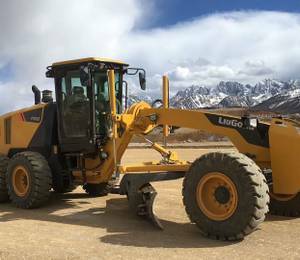 The new models also feature an enhanced control system – maintaining Skyjack’s colour coded and numbered wiring system, while further improving the ease of troubleshooting and integration with the company’s Elevate telematics solution. Skyjack has also released a white paper highlighting the core changes to its DC scissor products in conjunction with the new ANSI standards. 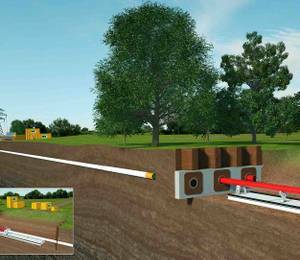 It outlines what Skyjack did to go beyond compliance and treat these new designs as an opportunity. Skyjack initially launched a white paper when the standards were impending early 2017, however the standards that officially passed in December 2018 had slightly changed. With standards officially published, the company is communicating the solidified changes for its A92.20 compliant DC scissor lifts. 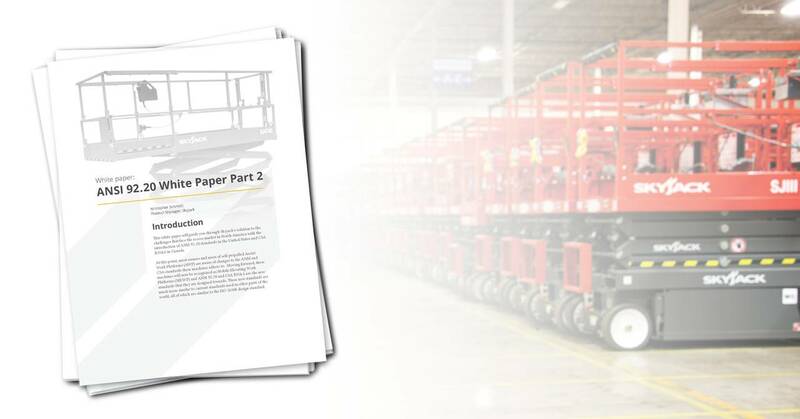 While the white paper itself primarily focuses on DC scissor lifts, it does mention that Skyjack booms will see an increase in capacity ratings. 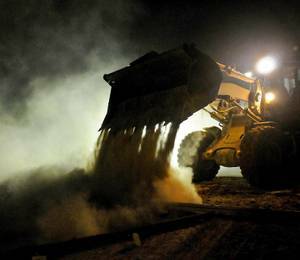 In addition to outlining the changes to its new ANSI-compliant machines, the white paper also outlines how Elevate works with this new system. Products within Elevate’s digital suite such as Elevate On are able to track machine pre-checks and make familiarisation material more easily accessible on-site. “New standards affect everyone within the rental ecosystem and our team is working hand in hand with our customers, by providing material for them and end users with material such as this white paper, to help contribute to a seamless integration,” concluded Mr Boehler.